My IKEA Hemnes pine cabinets are installed (by me by the way!) and filled and packed with all my crafty sewing stuff! Next is to design the perfect work table. I am currently using my old IKEA work table. 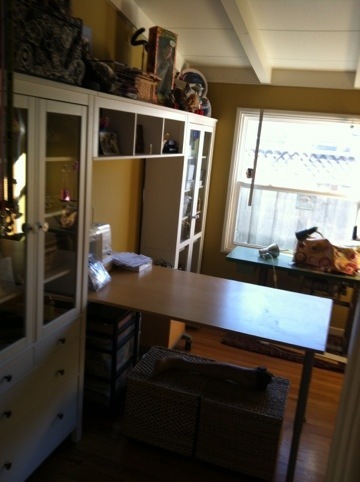 My new table will have casters for easy moving around, drawers and cubbies!